With over 70 years of experience and seven locations across the country, you can trust RiteScreen to meet all of your screen manufacturing needs. We supply complete solutions from factory layouts to components such as roll formed material, extrusion and injected molded parts, as well as complete assembled screens. 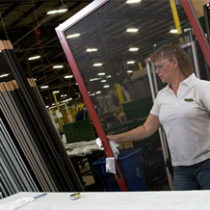 As a window or door manufacturer you know that quality screens are a necessary part of delivering a quality product. Yet, screen production also consumes valuable floor space, labor, capital, and management attention that could be focused on your core business instead. At RiteScreen, we’re here to change that! With over 70 years of screen manufacturing experience and 7 strategically located plants, RiteScreen can meet your current product and lead time requirements, putting your focus back on your core products. RiteScreen can also collaborate with you to design new solutions to best serve your customers’ requirements. 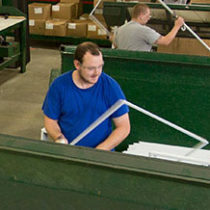 Collaboration is the key to integrating RiteScreen’s quality screens into your workflow. Our proven process identifies cost-saving opportunities, while ensuring the highest product quality. The RiteScreen Company, LLC is delighted to announce that Gretta Zechman has joined the team as an Inside Sales Representative….